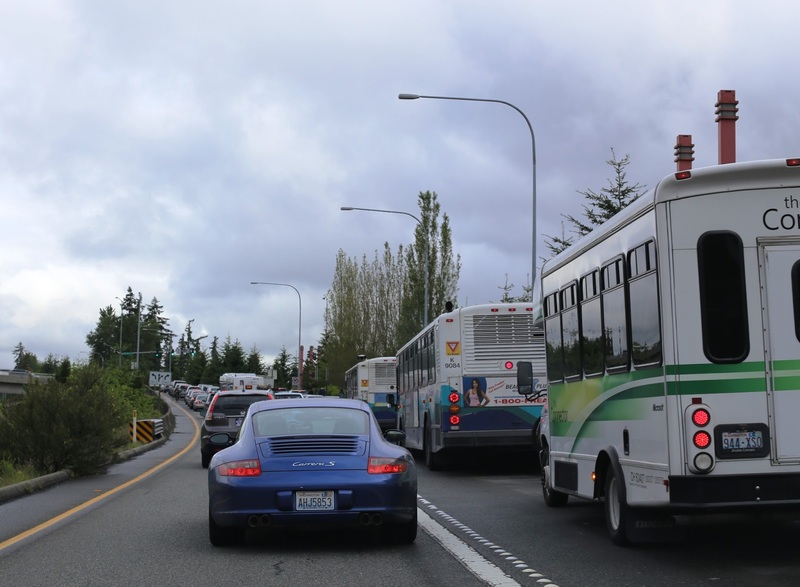 There are 40,000 Microsoft employees in Washington State, and most commute daily to Redmond. 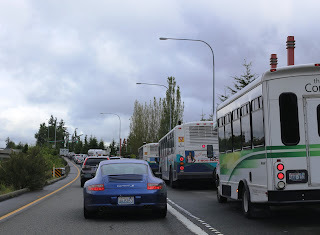 Three options are visible here: luxury sports cars, Sound Transit, and the company Connector buses. Tip to Mr Carrera S: your registration is expired; the ticket is $219.